Growing up watching classic films made by K.Balachander and S.P.Muthuraman like Apoorva Raagangal and Bhuvana Oru Kelvi Kuri respectively, one can be only be inspired by their work. The kind of emotions, conflicts and subtle aspects that were portrayed by these filmmakers were astounding. The directors drew inspiration from real life incidents and that element made the audience connect with their films. 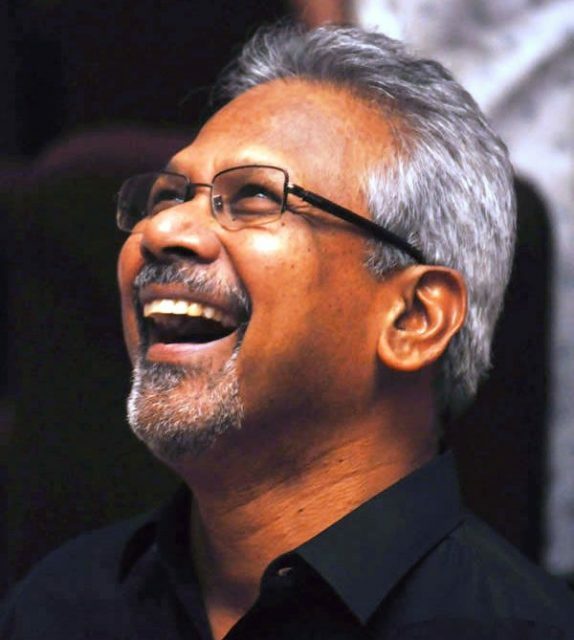 Directors of that generation were an inspiration to many filmmakers and one such personality is Mani Ratnam. Born in 1955, Mani Ratnam grew up watching these cult classics as a young man. And his work, after becoming a filmmaker, clearly shows the affect the yesteryear directors have had on him. Kaatru Veliyidai, Mani Ratnam’s latest release, hit the screens with loads of expectations on the filmmaker. The film received mix response from the audience with many saying it’s another classic and few saying it’s an old story with an innovative approach. As he kept saying all these years, he says it again that he will do a film when he feels that he will be able to carry the emotion throughout. Be it romance, revenge or brotherhood, his movies have shown it all and are a reference guide for a new crop of filmmakers. But there is something that not many people know about the man who has churned out some masterpieces in his career. Speaking about it in an interview with Gautham Vasudev Menon, Mani Ratnam said, “Kamal Haasan wanted me to do a remake of a Hindi film that had Shammi Kapoor in it and I knew I was not cut for such work. I told him that this is not my cup of tea and I won’t be able to give it my 100%. Kamal then asked me ‘What will work for you?’. This is the kind of question any film maker can’t resist being asked. And that’s when I gave him a brief of Nayagan. And that’s how we made Nayagan.” Well, this shows that he is clear in his head about what he wants.